Choosing your bridal color palette can be a big job - throw in deciding on your dress, bridesmaids dresses, groomsmen’s attire, color scheme, shoes, hair, makeup - the list is endless! 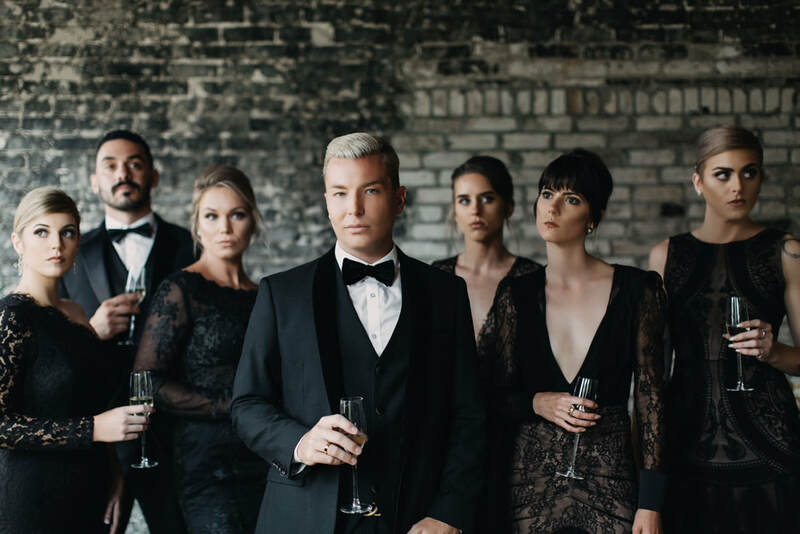 Please allow the team at JMEP to style you, your groom and your attendants so that everyone looks their best for your day, without adding a ton of stress to your life. We will work to dress everyone in fashions that compliment them while keeping your look and vision in mind. ​Do you want casual, formal, black tie, rustic, or trendy? We can take your ideas and run with them! There are so many options, let us narrow them down for you so you can focus on the fun stuff. We work with some of the best in the business, who can make your wedding party look amazing - but not as good as the bride and groom of course!